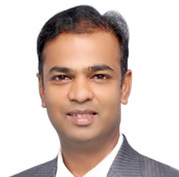 Dr. Sudhir Reddy is a Sr. Consultant in department of Orthopaedics at Virinchi Hospitals. He has more than 14 years of experience in his field. His main areas of practice are ‘Adult Joint Reconstruction’ (joint replacement) and ‘Regenerative Surgery’. He has high grade of skills and experience in Joint Replacement Surgery including Primary Knee and Hip arthroplasty, Revision Arthroplasty Surgery, Arthroscopy of the knee and all major trauma surgeries. Dr. Reddy acquired his MBBS and MS (orthopaedics) degrees from the prestigious All India Institute of Medical Sciences (AIIMS) in Delhi, along with M.Ch. (orthopaedics) from the UK. He completed his FRCS (Edinburgh) and FRCS Trauma & orthopaedic surgery from the UK. His clinical expertise lies in total Knee Aarthroplasty, Unicondylar Knee Arthroplasty, Total Hip Arthroplasty, Hip Resurfacing, Minimally Invasive Hip and Knee Arthroplasty, etc. Dr. Reddy is a member of the international cartilage research society, British orthopaedic association, and Indian orthopaedic association. He is also an associate member of the American association of orthopaedic surgeons.